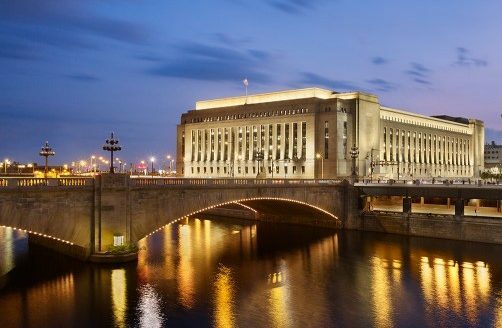 Immediately adjacent to Amtrak’s 30th Street Station, Cira Square was formerly the Philadelphia Main Post Office and is listed on the National Register of Historic Places. Originally constructed in 1936, the Art Deco complex was converted to modern office space during a $252 million renovation completed in 2010 by previous owner Brandywine Realty Trust (NYSE: BDN) and is fully leased to the General Services Administration as the Philadelphia Campus for the IRS. Coretrust, as its U.S. asset manager, assisted Korea Investment Management (KIM) on its acquisition of Cira Square in February 2016. Established in 1974, KIM is the first and one of the largest asset management companies in Korea. As of June 2017, KIM had approximately US $35.4 billion under management. Cira Square was KIM’s first direct investment in the United States. Coretrust continues to oversee KIM’s investment in Cira Square as its U.S. asset manager and is actively researching other investment opportunities for the firm.